A significant improvement in hyperglycaemia in patients with type 2 diabetes poorly controlled on one or more oral antidiabetic agents was seen in the first-in-human study of RevitaTM duodenal mucosal resurfacing (Revita DMR) - a new 60 minute non-surgical procedure - according to data published in the current issue of Diabetes Care. Revita DMR is a trans-oral procedure targeting the duodenum, a portion of the intestine that plays an important role in regulating insulin sensitivity and metabolic homeostasis. Using proprietary balloon catheters, Revita DMR uses a combination of circumferential mucosal lift and hydrothermal ablation to rejuvenate the surface of the duodenum and potentially alter gut signalling in patients with metabolic diseases driven by insulin resistance. It is designed to be a short (<60 min) procedure with the potential to restore metabolic health while avoiding many of the challenges patients and physicians face managing complicated medical regimens. A 50-patient, multicentre, international clinical trial is currently underway in patients with type 2 diabetes, in which 40 patients have already been treated across sites in the UK, Chile, Italy, Netherlands and Belgium. Data shows that the new non-surgical procedure can significantly improve HbA1c in type 2 diabetes patients and help prevent patients from moving on to insulin (HbA1c indicates blood sugar levels for the previous two to three months. It is a measure of the amount of glucose that is being carried by red blood cells in the body. 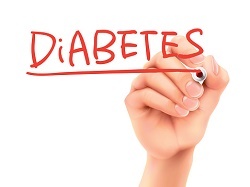 An HbA1c of 6.5% is considered the cut off point for diagnosing diabetes). Patients on the Revita study had pre-study HbA1c levels ranging from 7.5% to 12%, with an average of 9.5% for the group and the average reduction in HbA1c levels for the 39 patients in the study was 1.2% at six months. This was statistically significant compared with pre-procedure HbA1c levels. Patients who had a longer segment of the duodenum resurfaced (“long segment” patients, approximately 9 cm treated) demonstrated a 1.4% reduction in blood sugar levels at six months compared with a 0.7% reduction in the short-segment patients (approximately 3 cm treated). Revita DMR is currently only available as part of ongoing clinical trials.